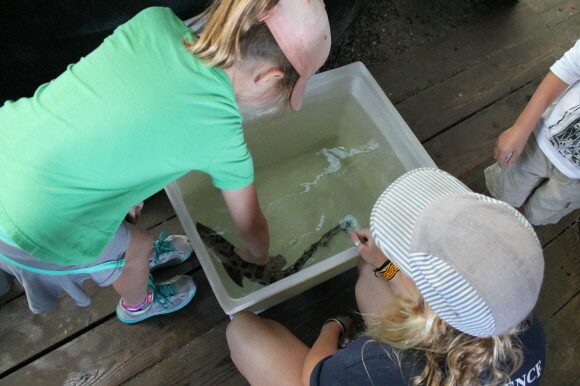 Over the weekend I took the girl for the first time to the Marine Science Institute in Redwood City for “Shark Day.” Kind of tailor made for my shark loving kid. 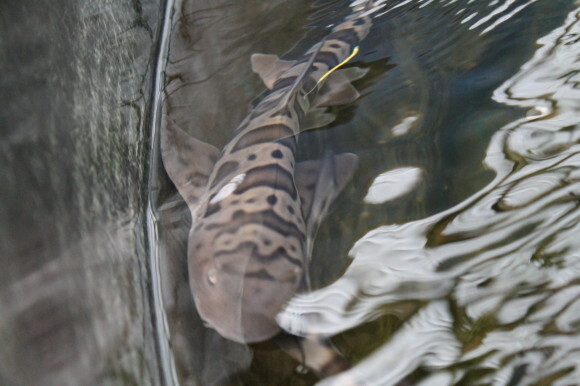 It was a nice little event, starring the beauty of the Bay, the Leopard Shark. We get to see and handle a fair number of these sharks out fishing from the pier, but it was nice to see them swimming around the tank and to see other kids get a chance to get up-close and personal with them. All of the Leopards were tagged and will be released and it sounds like they are considering allowing other anglers to tag and release these fish as well. That would be fantastic for us and exactly what my girl has been longing to do. I hope that goes through. 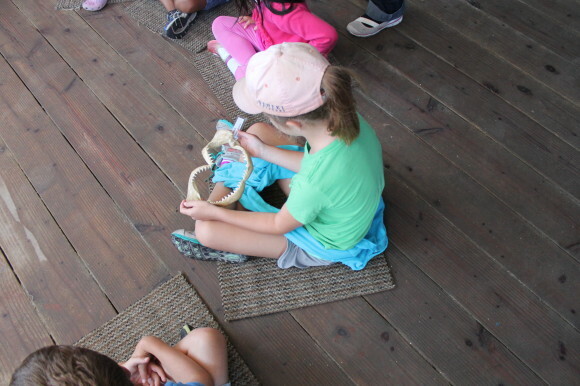 All the kids got a chance to touch a leopard. I hope to get out here again for future events and maybe a trip out on their research vessel. This entry was posted on Sunday, August 17th, 2014 at 9:58 am	and is filed under Conservation. You can follow any comments to this entry through the RSS 2.0 feed. You can leave a comment, or trackback from your own site.